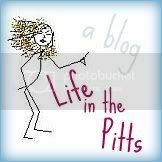 Life in the Pitts: There are HOW MANY WAYS??? There are HOW MANY WAYS??? Too bad I didn't see this last week. Kurt would have had a VERY manly birthday. So now I'm curious; what's the manliest way you've ever used a tampon? Labels: Awesome Finds, Creepy, THIS IS NOT SPAM. I promise. I used to visit teach a lady who told me this story about her boys out the lawn, launching her tampons across the lawn at each other. They'd hit the bottom part of the applicator and yell,"Rocket Launch" and shoot them off. They were doing this when the Bishop came over to call her to be the Relief Society president. It was a very funny (and manly) story. Perhaps Kurt could launch some rockets. Ha ha. How do you find these things? That made me laugh out loud. And not just a little chuck. One of those embarrassingly loud laughs that make everyone around you turn and stare. oh my word, that's hilarious!!! Wow...I may just have to get this one for T...too funny! I used tampons to help clean out a friends bag. His drink exploded and all these little pockets got soaked. Luckily my tampons fitted in perfectly and the bag was clean in no time. I am sending this to the hubs and then he will know why IS getting a box of tampons for Father's Day. Great idea! 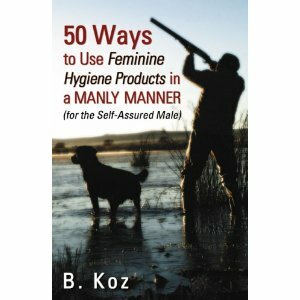 I love the author's name, B. Koz. Riiiight. How about using it to stop up a leak? Maybe instead of a plug on the oil pan of a car? LOL! This does NOT count as an emergency.